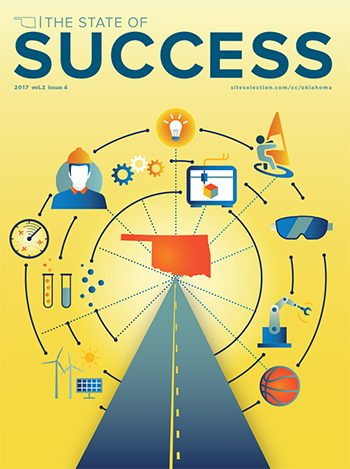 Opportunities abound in Oklahoma as new alliances, technologies and programs bring big ideas, skilled workers and financial incentives to The Sooner State. Businesses thrive and easily find needed resources thanks to a new alliance of advanced manufacturers. The University of Oklahoma was awarded a $166-million grant from NASA that could change the agriculture industry in the US. Enjoy the scenic route on the historic Mother Rode through Oklahoma.